A long, exhausted day after roaming around in sun, or hectic office work, can be replenished by a chill lemon/ lime juice with a dash of mint added to it. 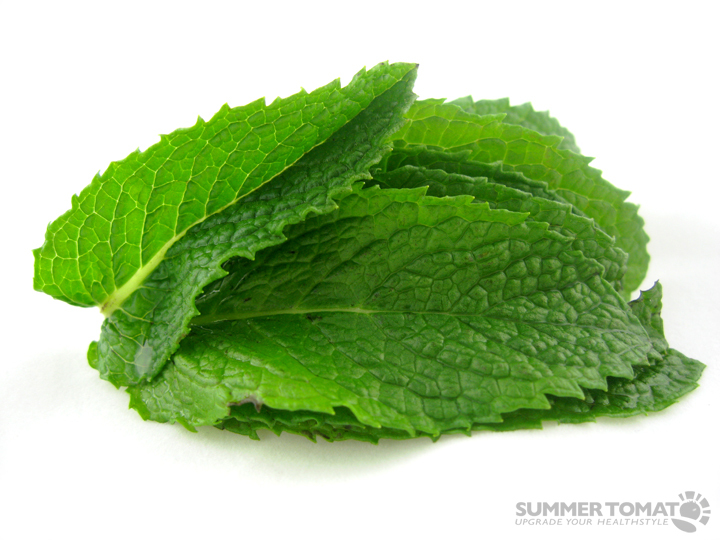 The cooling effect of mint make you regain your energy. This flavorful mint has numerous health benefits added to it. Acts as a cooling sensation to the skin and helps in dealing with skin irritations. Helps in eliminating toxins from the body. 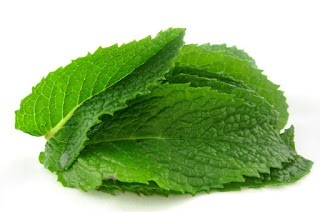 Crushed mint leaves helps in whitening teeth and combat bad breath. Very good cleanser for the blood. Any South Indian Cuisine is incomplete without curry leaves. The final garnishing of cooked food is done by adding oil, followed by mustard seeds. After it splutters, curry leaves (chopped onions optional) is added. This method is followed traditionally. I just used to wonder, how our ancestors were so brilliant, that even in cooking they inculcated science!!! 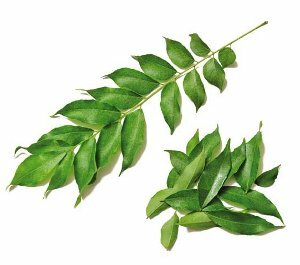 Adding curry leaves reduces the cholesterol, full of iron, improves eyesight. Our ancestors, neither went for special gyms, nor weight-loss programs or weight-loss drinks, instead the day to day activities they followed made them stay healthy and live longer. A good remedy for nausea and indigestion. Extract juice of curry leaves, squeeze a lime and add a pinch of sugar. Improves eyesight, so make sure you do not throw away the leaves while eating. 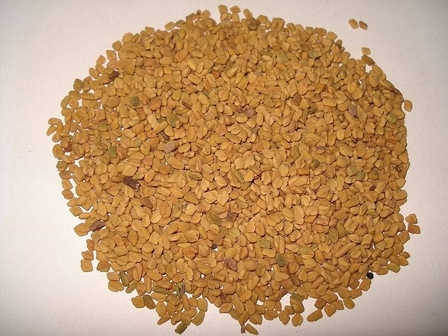 It is also believed to prevent cataract. Good for hair growth and colour. Prevents pre-mature greying of hair. 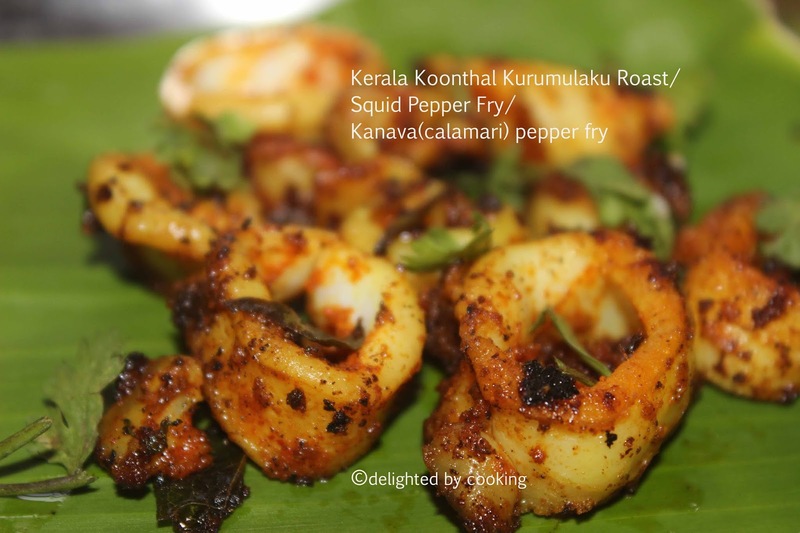 If you are the one turned head back on seeing squid before cooking, then same pinch. It was my first time I had seen kanava/squid before cooking. Got it from my friend who lives in Rameshwaram. The tube structure was just out of my imagination. I am not a child now, waiting for my mother to clean and cook, this was my mind voice. I am heading a family now, so I started to clean. Any ingredient, if you fry will never let you down. According to me, adding more pepper to any non-veg item will surely make it fool proof. For any non vegetarian, there will be a special crush for prawn recipes. Recipes with prawns are effortless, but the outcome will always be appetizing. 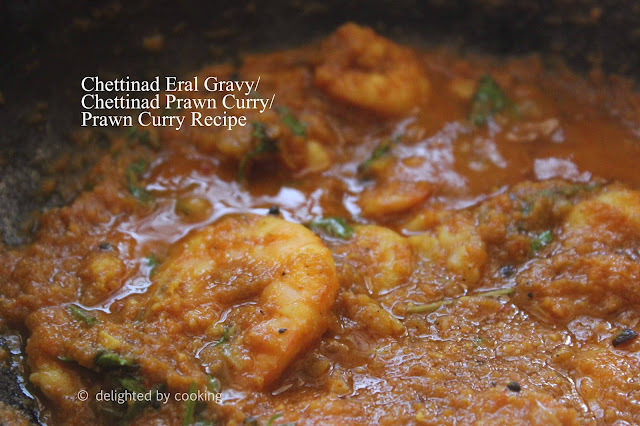 This prawn gravy is a fata-fat gravy, yes it consumes your time very less. Followed by the spicy version of ragi rotti, posting the sweet version of ragi rotti. 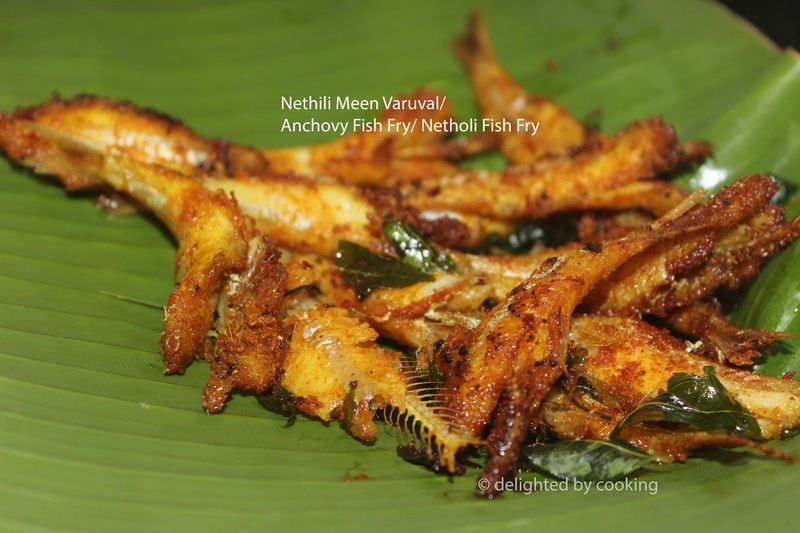 Sometimes when I crave for something Spicy, crispy and yet healthy, my mind's rapid thought would end with this nethili fish fry only. This is a droolicious recipe, with number of health benefits of the fish. 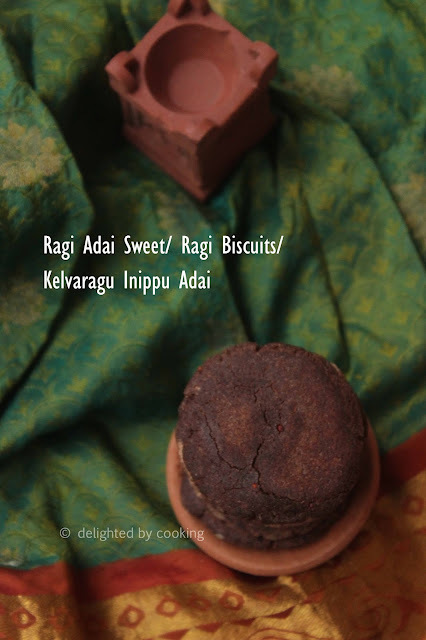 Ragi is one special ingredient recommended for when puberty in girls. 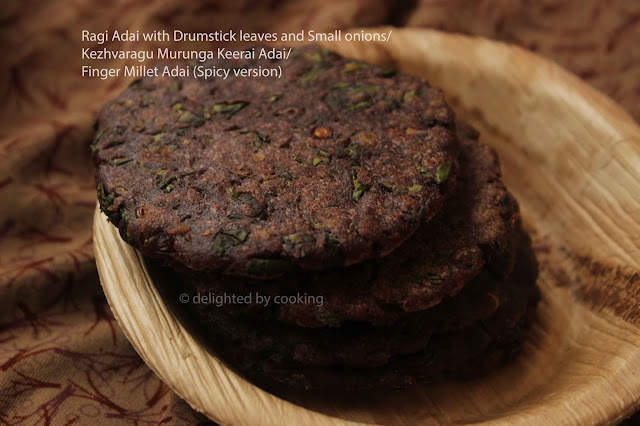 Ragi or Finger millet has loads of calcium in it.This recipe is one best recipe with loads of calcium and iron in it.